AC vs Heat Pump: The Cooling Battle! Many of us in Western Washington must face the Shakespearean question: to cool or not to cool? Buying cooling equipment may seem like a large investment for only a couple months, but on those nights when you are losing sleep due to a hot bedroom, air conditioning seems like a life saver. So how to get cool? For homeowners with ducts the leading options are central air conditioning or a heat pump. Let’s get to the face off: central air conditioning, heat pumps and some alternative methods face off. To start, let’s examine some similarities between heat pumps and air conditioners. Both systems are powered by outdoor units. They use the science of thermal energy to transfer heat in the air from one place to another. The units connect by a line-set charged with eco-friendly refrigerant to a coil that is placed above your furnace. An air conditioning system, like your fridge, absorbs heat from air that passes over the coil, and the resulting cool air is moved into your ducts and through your home. The collected heat is expelled through an exhaust process. Okay, there’s more science than that, but you get the idea (or check out http://home.howstuffworks.com/ac.htm). There are room air conditioners that hang out your window and cool one room and air conditioning systems, aka central air, which is what we are comparing to heat pumps today. The heat pump’s main advantage is it can cool and heat, so you can use it all year round. A heat pump pulls heat out of the outside air when it heats your home but can be reversed to pull heat out of your house and cool. In fact, our climate is one of the most efficient for heat pump operation. Heat pumps provide an economical source of heat (the air, it’s free!) down to freezing, when you’ll want to have a back up heating system kick in. If your home is currently heated by an inefficient heat source, for example oil, you’ll see much lower heating costs with a heat pump. The investment could pay for itself on the heating costs alone – and your air conditioning would be free! Our local Washington utilities offer rebates for heat pumps because of the real energy savings they provide. The heat pump is also one of the ‘greenest’ ways to heat and cool your home because it is powered off of renewable electricity. But don’t count air conditioners out just yet! The largest advantage is an air conditioner will give you a cool, comfortable home in the summer with less upfront cost than a heat pump. If you already have an energy efficient way to heat your home, such as a high efficiency gas furnace, then perhaps a heat pump will not yield a high enough return on investment. Or, if space is an issue then an air conditioner may be the right choice as they are more compact and fit into tighter spaces. There are also other options out there. Ductless heat pumps can provide super-efficient cooling and heating to homes with no or insufficient ductwork. A ductless heat pump can lower energy costs 25-40% when replacing electric baseboard heat. If you are an electrically heated home, chances are your utility is offering $800-$1200 rebates on these units. They are great for combined heating/cooling of the whole house or just for one room. Another option for a lot less money is a Solar Attic fan. These will use solar power to run a whole house fan. They don’t cool off the house per se, but pull the heat right out of the house and reduce upstairs temperatures but as much as eight degrees. We just moved in our new home in NJ & our propane furnace has seen its last day 🙁 we have two zones & r wondering if adding heat pump would benefit us in our cold winters and hot summers. We figure it would be a good time to add it as v have replace our propane furnace. The reason for looking into heat pump is due to high cost of propane. Our house is around 5200 sq ft. Thank u very much for your advice. I’ve already made our Customer Care Center aware of your situation. We usually don’t ballpark the cost of a heat pump over the phone. However, with your sq.footage we’d suggest that you schedule a free estimate from one of our trained craftsmen at Washington Energy Services. Please call us anytime today at 1 (800) 398-HOME. Live in VA beach. I have a 27 year old heat pump and looking to replace – 2500sq ft home, 2 story. My AC guy recommends going AC and Furnace. We have natural gas, gas and power is relatively cheap in our region. Summers are hot and humid, winters can get cold (below 32F) but not too often (several times a year). Heat pump estimate was $1000 more. Thoughts? Your AC guy is probably right. It gets much warmer in VA than it does here in Western Washington. Homes here can get by with a heat pump because we don’t have the temperature extremes you often experience there. A furnace and an AC will not be as efficient as a heat pump, but you will probably be thankful you chose an AC when things get very hot. Go with a more efficient furnace if you can afford it to try and make up for the lack of energy efficiency the AC provides. Best of luck in your home improvement journey! So if I’ve read all your responses correctly, “Heat Pumps” both heat and cool, but “Air Conditioners” cool only? I’m a little confused because I once lived in Florida, where they sold “Air Conditioners” which both heated and cooled. When I moved to Washington, I was told I had a “Heat Pump” (and that’s what it says on the outdoor unit) AND a “furnace” (which in FL was called “Auxiliary Heat”), and that it only heated. But the thermostat has a “cool” position on it, and in fact it looks like (and feels like) it does cool. So if I’ve got this right, I’d buy an “Air Conditioner” if I would be mostly cooling, and a “Heat Pump” if I’d be mostly heating, but either one COULD work both ways? Hi Michael, only heat pumps perform both heating and cooling. Air Conditioners are paired usually with a gas furnace, as you explain, to provide heat. Homes in Florida are more likely to have air conditioning than heat pumps because heat pumps become less effective at delivering cooling once the temperature rises past a certain level. Since it is consistently hot in Florida, more customers need A/C there. Here, heat pumps are a great option because we do not have extreme temperatures. We are building a house in Bellingham, Washington. Ranch, about 2140 sq ft. Coming from the Chicago area with plenty of temperature extremes we are unsure of how important it will be to install ac. We are considering not initially putting it in until we get a feel for the summers. But are there things we should have the builder do to make installation at a later date easier? House will have gas furnace and ductwork. Also, are attic fans commonly installed in this area? Thanks. Gary, welcome to Washington! Bellingham climate data shows that the summers are mild, like most of the Puget Sound. I think you’ll find that AC will not be necessary unless you want a complete guarantee of year-round comfort. We have our temperature spikes where we’ll reach temps closer to 90, but they are short-lived. Your contractor should be able to design your system with a future AC installation in mind. Attic fans are used in this area, in fact we sell and install them (although Bellingham is out of our service area). Heat pumps are the most efficient, but there are times when a heat pump will not perform well – in cases of extreme cold and heat. But, throughout the year (especially in moderate climates) heat pumps are the way to go. I live in humid South Carolina. Although unseasonably mild at the moment, our summer starts in April, May and can last til end of September/October. I have a two bed 900sq. Ft ductless home and need some direction as to which way to go. The home has a crawl space and attic. No question you should go with a ductless heat pump. They are the most efficient on the market and they are perfect comfort solution for this scenario. They’ll not only cool, but they heat as well. I live in Olympia, WA and my house is two story, 2200 sq ft. I currently have a 6 year old 80% efficient gas furnace and no AC. My gas/electric (joint) PSE bill runs about $95 in the summer and $250 in the winter. I assumed adding AC was the way to go, but I was quoted both an AC and a heat pump. The AC quote was for a Trane 16 SEER for $5750 and the heat pump quote was $6250 for a Trane14 SEER. The overall cost difference isn’t really a factor, but I’d like to know if I’ll likely see any savings on my winter gas/electric bill if I went with the heat pump and whether a 14 SEER heat pump will be efficient enough? Hi Susan, I would be remiss if I didn’t suggest to you to give us a call at 800-398-4663 and get us down there for a quote. We serve the Olympia area and can draw up a list of very comparable options with higher SEER ratings to get your return on investment even faster. Our home energy specialist can do the calculations necessary, hear your concerns and provide a quote on-site in one visit. Give us a call at 800-398-4663 or fill out our free estimate form. I’m trying to decide between a Central A/C or Heat Pump. I live in Maryland (cold winters and hot summers). My oil furnace is 15 years old and is working fine. Not sure about the installation of the house, it was built in the late 50’s (1110 sq.ft.) I’m a senior and like my heat warming up fast. People have told me that I would not like a Heat pump based on their reputation and my heat preference. Everyone I’ve talked with that have had heat pumps do not like them, especially the elderly. What are you thoughts? Hi Margie, thank you for your question. Even though your current system is working fine, we applaud your forward thinking just in case it fails. Our climate here in Washington state is very different from yours in Maryland. We would certainly suggest consulting with a reputable, local heating and cooling company to provide a free estimate or home energy audit. Since your home was built in the 50’s, you might be lacking in insulation. Insulation has a huge impact on the comfort of your home – in both winter and summer. The most efficient type of heating and cooling solution is a ductless heat pump, but as you mention you are skeptical of heat pumps. A local company will be able to hear your concerns and address them with you on-site. We hope this helps! we are needing to replace the AC for our 30 yr old 3000sqft home near SLC,utah. It was built with higher insulation and we added solar panels last summer. we have gas heat and a high energy furnace (Trane XV90). should we consider a heat pump? Hi Jay, thanks for the question. We would advise contacting a local HVAC company that offers free estimates. We don’t know enough about the SLC climate or your energy usage / cost to make that recommendation. But I’m sure someone near you would love the opportunity to steer you in the right direction. Best of luck! Hello! We are doing a full remodel of a 2400 sq foot house in Seattle, and are in the process of removing the old oil tank and furnace and adding gas lines (range and fireplace for sure). We were wondering (generally speaking) since everything old will come out, what would you recommend? We are thinking heat pump for heating/cooling/water heater with a small furnace to supplement during the winter will be the way to go, but not quite sure. Thanks! Since you’re in Seattle, we would certainly suggest having one of our home energy specialists come out for a free estimate. Give us a call at 800-398-4663 or fill out our free estimate form and we’ll get back to you. If you’re wondering which way to go, our reps can have a chat with you and show you a few different options depending on your home comfort pain points and budget. We would love to help! We live in Bellevue, WA and are looking into an AC. We learned that we also need to replace our 30 year old gas furnace as it can’t accommodate the coils for the AC. We’re thinking of replacing the old furnace with an 80% (or possibly 95%) efficiency gas furnace. Now, we’re looking at a heat pump vs. AC and the question I have is about noise. Is a heat pump much louder than an AC? If we get a heat pump, it will run most of the time for heat and AC just outside our family room and kids rooms (they’re on the 2nd story) and I’m concerned about hearing it all the time, whereas an AC will run only a few weeks out of a year. 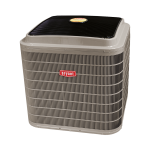 We’re looking at a Trane heat pump vs. Trane AC. One final question. It seems that in the NW, gas and electricity are relatively inexpensive. If we get a heat pump, we are switching from heating from a (new 80 or 95% efficient) gas furnace to an electric heat pump. It seems like the cost saving may not be as much, plus the heat pump has a shorter life span compared to an AC. Given this, is the heat pump still a much cheaper option? Hi Julia, our climate is great for heat pumps. Secondly, today’s outdoor units on heat pumps are extremely quiet. You’d be very surprised, especially if you’re remembering how loud they were in the 80’s and 90’s. We don’t sell Trane – we are a Bryant dealer, a brand we very much believe in. If you’re interested in having one of our Home Energy Specialists take a look at your system, that would be the best way to decide a course of action (and it’s completely free!). Give us a call at 800-398-4663 or fill out our free estimate form. I am living in Washington State. I recently replace my furnace with an energy star efficient unit. If I decide to go with heat pump,then the existent furnace will be disabled or removed …correct? Will I save more energy if I go with a Lennox Signature Collection XP25 Heat Pump? Hi Lam, are you in our service area? If so, give us a call to discuss your options. We love heat pumps and they are well-fitted to our climate, but you may want to add air conditioning since you just replaced the furnace. We’ll know what’s best once we talk to you. Give us a call at 800-398-4663 or fill out our free estimate form. Thanks! We live in Lacey/Olympia, WA and have a two story, 1722 sf home. Our gas furnace works great, but our home is way too hot when the temps get above 70 for more than a week. Would a heat pump really save us more than a quality A/C unit? Who would sell us the equipment and are you a WA state company? Hi Dan! We find that heat pumps are fantastic for our climate here in Western Washington. They can both heat and cool more efficiently than a furnace / AC combo and are perfect for our normal temperature range. We are indeed a Washington state company – and family owned. We have been since 1957. Now, we do free estimates so that we can see your situation and hear your comfort concerns first-hand. Give us a call at 800-398-4663 or fill out our free estimate form and we would be happy to visit your home and put you on the path to a more comfortable summer. We are buying a house that has an efficient gas furnace. It’s a two story house approximately 2500 Sq ft. I don’t know if it would be worth putting in a heat pump or just an A/C unit. Right now I am leaning towards the A/C unit since the house was built in 2011 and is well insulated. Plus the furnace is not that old and has been maintenanced once a year. Seems like an A/C only unit would be the most cost effective option to go with. What is your opinion or recommendations? Thank you. Hi Kevin, a lot of factors go into this decision. For instance, your climate zone. If in Western Washington, where we operate, heat pumps are ideal and it is what we would recommend. If you experience more extremes, then the AC and Furnace combo is the better bet. If your gas furnace is of the high efficiency variety, then it may make sense to go with the AC because you already have an efficient furnace. Usually furnaces are not that efficient and a heat pump will keep you cool and heat much more efficiently than the furnace. If you’re in our service area, give us a call or fill out our form and we can help you decide! Hello, I am rebuilding my home on Mercer Island essentially from the ground up. It is a ranch style home with approximately 3000 ft. sq. We will have new vent piping installed which will replace those which fed heat to the house via existing furnaces (2). Will one heat pump be adequate to heat and cool my house. Or do you recommend a subordinate heat source for our cold wet winter days? Also, if the power goes out we have a power generator which used to provide power to one of our furnaces which provided adequate heat for part of the house. Will a power generator be adequate enough to power a heat pump? Hi Brian, thanks for the question. More goes into the heat calculation than just square footage. Windows, skylights, planned insulation levels are big factors. Our home energy specialists would be happy to answer the heat pump questions and the generator questions specific to your home. Simply give us a call at 800-398-4663 or fill out our free estimate form. We have a two level 1750 sq ft home in Vancouver Wa. It was built in 2006 and has a gas furnace and existing ductwork. Often asked question, should we add a heat pump or AC? Also, with home already prepared with duct work, what ballpark cost are we talking about to add a HP or AC? We think the heat pump would be your best bet. Heat pumps are very efficient and are perfectly suited to the weather of the Pacific Northwest. Of course, your local HVAC professional will best be able to guide you to a system to fit your needs. The cost for AC and the heat pump will be similar, likely around $4,000 – $6,000. There are no ducts in a home I’m considering buying. It’s baseboard heat. Is it possible AC be added? Approximate cost for 1800 sq ft ranch with basement?thank you. Hi Kim, We would probably recommend a ductless heat pump. They both heat and cool. Baseboard electric is not something we do – nor do we recommend it! Give us a call at 800-398-4663 or fill out a free estimate form and we would be happy to get into the details! My wife and I are looking at a home to buy and it has a heat pump with all duct work, the description says heat pump for heating and cooling is listed as other. What would need to be done to have ac with the heat pump or is this possible? I have never had any dealings with these systems. A heat pump will both cool and heat. Depending on your home’s location, the heat pump may be an excellent choice. If you are located somewhere with temperature extremes, you may need to supplement cooling or heating for these times of the year. It really depends on your location and climate. Tim, if you’re in our service area you can give us a call. Otherwise, you might look in your area for someone who offers free estimates to get a professional opinion of your available comfort options. Thanks! Hi there – found you via Google search after colleague recommended researching heat pump information. We live in SF Bay Area near Cupertino, CA and had some crazy hot weather this summer. Our small 1400 sqft home has never had AC, and I need to replace our Trane XL80 that is 20 years old now, so wondering if a heat pump makes sense vs getting new furnace and separate AC unit. Thank you! Hi Bobby, we would suggest a Heat Pump as they are the most efficient and work very well in a temperate environment. Heat Pumps will have trouble at temperature extremes, but the climate around Cupertino should lend itself well to a heat pump. Your best best would be to find a local HVAC company who does free in-home estimates, as we do, so that they could do calculations and hear your concerns. Hi. I have a gas furnace with 92% efficiency. I would like to get AC for our short summers in the northwest. 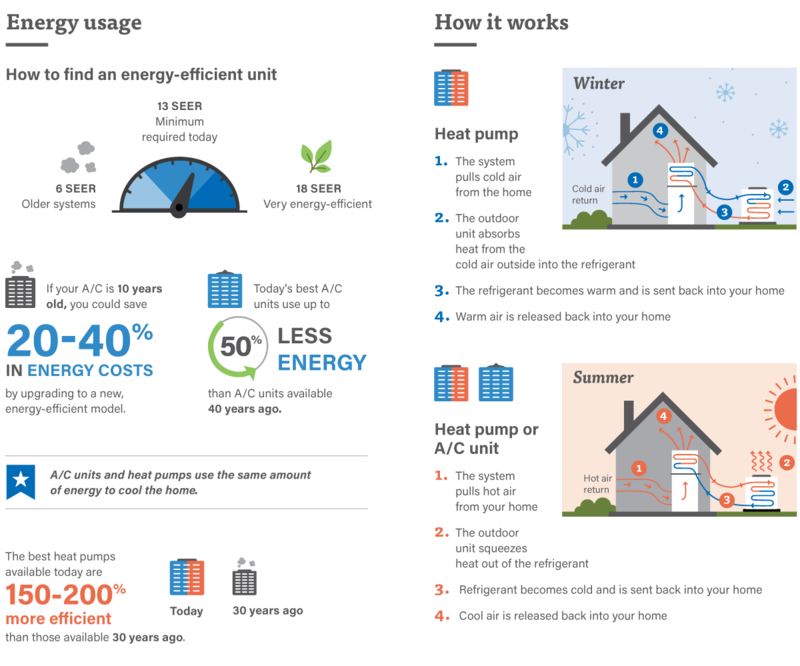 Would it make sense to get a heat pump or an AC? 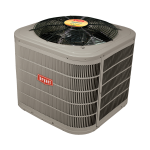 Adding A/C to your existing system will probably be your best choice. But, we suggest having a pro give you a free estimate. Call us or fill out our form and we would be happy to discuss your options with you! Hello! I have a 500 sq ft, 1 bedroom house with cadet heaters and a 12,000 BTU, portable AC unit. The insulation isn’t the greatest in my walls, so the AC isn’t able to cool the whole house in the summer. I have it in my bedroom where it’s highly effective, but that leaves the rest of the house to heat up. I’ve been looking at ductless heat pumps, but those rated for 600 sq ft or less are also 12,000 BTUs. Would a ductless heat pump be more effective than a portable AC unit? I would like to be able to cool my entire house, and I don’t want to invest in something that won’t be any better than what I currently have. Thank you for your help! Hi Joey, you would have a condenser outside and multiple indoor units working to cool each zone of the house. The portable isn’t strong enough for the whole house and only keeps the area near it cool. If it were more powerful, the area near it would be too cold while the area further away would be just right. Having multiple indoor units would keep you in the comfort zone. If you only had one indoor unit with your ductless system, you’d have the same issue as your portable. You could opt for an attic “ductless” central unit and then run flexible ducts to the bedroom and the living space. A local HVAC contractor should be able to give you good options. If you live in Western Washington, give us a call! We have an upstairs and downstairs heat pump units. Upstairs emergency heat strips apparently have gone bad causing other issues. Repair costs is high enough on 11 year old units that we are thinking of replacing. The current debate in our household is whether to replace units with heat pump with emergency heat strips, duel fuel units(heat pump with natural gas), or Central air with gas furnace. Any recommendations? It sounds like you’ve got a lot to consider. Even knowing your home the way that you do, the question still causes for some significant head-scratching. A lot of factors go into deciding how to heat and cool a home. What we as a contractor are trying to do is create an efficient and effective system. Our recommendation would be to seek a local contractor with good reviews and get some opinions. While we offer free estimates, as many contractors do, we might steer you into doing a more comprehensive Home Performance Audit so a full picture can be painted. With a Home Performance Audit, a full understanding of your home is achieved and a plan is created so both the homeowner and the contractor understand what’s going on with the home’s systems and then decide the best approach to keep you and your family comfortable. Hi there. We live in Seattle and put in a heat pump last year for our 5000 sq ft home. We are finding that the heat pump is not cooling the second story of our home to low enough temps (still uncomfortable at night). Do heat pumps cool down like A/C units or is this normal. And is it easy to replace heat pumps with A/C instead after the fact? A heat pump and air conditioner (given they are the same size and same general model family) are exactly the same in ability to provide cooling. They are the same efficiency, sound, amount of cooling. Changing out a heat pump for an AC would not provide better cooling. When there are issues cooling one area of a home but other areas are cooling satisfactorily, it is either home performance (insulation/air sealing) issues or duct work limitations. Duct work issues are often pre-existing and hard to know the full extent of before a heat pump or air conditioner is installed, as delivering cool air has some different challenges compared to delivering heat. Sometimes these things can be improved so the equipment can better deliver cooling, other times we have to look at supplemental cooling for difficult areas, primarily with ductless products. A great “first step” is to have an energy audit done. A BPI certified auditor will do a whole home assessment including a blower door test and infrared imaging. They will provide a full report and recommendation choices. Washington Energy Services has a full Home Performance (and Energy Audit) division and would be happy to assist in this way should you desire. A heat pump should be a near absolute in an application where the alternative is propane only for heat. Depending on propane rates (which vary from season to season) a heat pump will save 50% to over 75% compared to even the very best and efficient propane furnace. Local utilities have typical comparison charts to support this, and it is fairly well-known around the industry. A heat pump will pay for itself, possibly many times over, in energy savings over its life. It will also provide cooling for those hot summer days (and 2015 has been a testament to that)! If your builder will not install a heat pump, you can contact Washington Energy after the building is completed and you are moved in, and we can likely add one for you. However, it is typically better to add it from the outset to minimize installation costs. As an aside, many (not all) builders try to use the minimum required by code, and not necessarily go the extra mile on things that are not seen, like duct work. Duct work and airflow are key to a system working correctly. The best equipment with inadequate ductwork will not perform anywhere near its potential (imagine a Porsche with off road tires instead of sport tires). A heat pump will have the ability to provide cooling (air conditioning), but will only do so evenly if the builder has the HVAC contractor install a notable sized return air duct on the ceiling of the upper level (if it is a two story house). If it is small and/or low toward the ground on the upper level, it will not properly remove the heat that is collecting in the summer. Hi, my husband and I are looking at buying a new construction home, around 4300 sf, in a rural part of King County that uses propane instead of gas. We have heard a heat pump is better than a/c, but the builder offers a/c, should we really consider pressuring them to install a heat pump instead as it will be more efficient and cost effective with propane? Thank you!! I have a 3,088 sq ft home. It is 3 years old and has a gas furnace. We are looking in to getting a AC unit or heat pump. We live in western Washington state. Would a heat pump be a good choice? Ditto Chris, above! I’m also out of your service area but these replies are demonstrating excellent customer service and leadership in your field. Kudos. Is a heat pump expected to be as efficient as an A/C unit? I have a heat pump and find it is not keeping up with the current hot weather. Runs all the time but never reaches the desired cooling temp. I’m not sure if it needs service or if that is to be expected of a heat pump? Thanks! It will depend on just how hot that local weather actually gets (and how often it gets that way). Very high temperatures and very low temperatures make it harder for your heat pump to stay in the comfort zone. Then again, it could have a failed component. If you’ve been kept cool in the past at comparable temperatures something might need servicing. I know that’s not a very specific answer, but a local HVAC tech could tell you more. Best of luck! Years ago we lost electrical power during an ice storm. I powered our gas fired/forced air furnace with a standby generator and we were cozy. We are buying another house with a 21 year old gas furnace + 7 y.o. gas fired water heater and considering replacing those with a heat pump + tankless gas water heater. Q#1: Would I be correct that the tankless water heater needs minor AC power to function? Q#2 Would I be correct in assuming that a heat pump has far too big a start up surge to make powering one with a typical residential generator in an outage situation? Hi Ed. Anything is possible if you have the will! So, if you wanted to power your heat pump via generator it could be done. Advised? Probably not. You’d have to talk to your installer about your specific needs and your budget. The water heater wouldn’t pose a problem. Good luck! Also, I currently have gas-powered baseboard heat. Is it worth my while to look into heating-and-cooling ductless systems, or are my existing radiators more efficient? It’s difficult for us to say about your radiators, but at the very least you can be sure that ductless is a great way to achieve cooling in an efficient way. Could you tell me which ductless a/c multi-split brand has the best SEER/efficiency rating? I’m trying to cool a 3-zone NYC condo, and want maximum energy efficiency. So far I’ve narrowed the field down to Daikon’s LV series and models made by Fujitsu. Daikin and Fujitsu are what we sell, too. They come highly recommended. The Daikin LV series has a SEER rating up to 24.5 which makes it a fantastic choice. Good luck on your install! It sounds like you’re well on your way to a more comfortable and efficient home. We can’t speak for Maryland specifically, but there are many choices available simply because heat pumps are a popular choice. And for good reason. Reach out to a local installer and they’re sure to help you get what you need. I live in Oregon, not WA. I wanted to give props to whoever is continually replying to these random questions, 3 years later, with many people outside your service area. Hi Jim, we are big fans of both heat pumps and ACs. There are a few things to consider in Central Washington. You know your climate the best, but based on averages you would be using the cooling feature about 4 months of the year, part time in June and Sept and a lot of the time in July and August. But that’s only 4 months. The rest of the year, at least at night, you can expect temps below 45 and you might want some heat. While each person’s preferences are different, the value for heating might make a heat pump a better choice. The AC may have a slightly lower initial cost, but depending on how you currently heat your home, the heat pump should be able to pay you back for the difference over the life of the product (or sooner). Hope that helps. We do not provide service over there, but there are some good service providers who can help you. Thanks! I have a 1500 square foot ranch, no basement, no hallways with a seperate 400 square foot family room off a breezeway. All rooms open off a 32×16 great room. Ductwork is poor even after heating company charged $5000 and I get to heat attic still but that is another story. House is in Northeast . Would a heat pump be better? Could it handle 1500 sq ft with no ducts? Dear Alice, we are sad to hear that you paid so much and they didn’t run the ductwork, or seal your attic, to enable your home to heat properly. Perhaps another contractor could fix the ductwork so it’s working for you. If you are giving up on ductwork, a ductless heat pump is a good choice. Top ductless systems can produce a fair amount of heat even when it’s freezing outside, but you will need to keep some kind of backup heat for the below zero nights. We hate for you to spend more money, so we hope you can fix your situation. Thanks! Can I run my ac unit without the heat pump being on? It’s leaking and it’s upstairs. So I went to the breaker box and turned it off. But can I still run the ac unit without the heat pump? Hello Ac, you say your heat pump is leaking? is that leaking water or refrigerant? We recommend getting service right away. If you heat pump is off you may be able to use your furnace or air handler on a fan setting, but without the compressor on, no AC. Question: I live in New England and am replacing my furnace and central AC (They are both 25 years old). I’m getting a very efficient new furnace for heating (it gets cold here in Winter). Will a heat pump be sufficient to cool my house in the summer? Or do I need another central AC unit? Thanks for the question. Yes, heat pumps can do a great job of cooling homes in the summer. The question which one to choose between high efficiency furnace plus AC vs heat pump and air handler or furnace comes down to your particular house and the costs in your area. We encourage you to find a top rated contractor in your area and ask them to do a detailed comparison including how much you might save on your heating costs from the portion of time you use the heat pump. Also ask about any local or state rebates available. If they can’t do that for you, hire one who can. Thanks! Hi Jeff, thanks for asking about the savings. We’ll assume you mean that the heat pump is $1000 more? In order to tell which way to go, we’d need more detailed information. However, we can give you a couple of very broad questions to ask your contractor. Are the cooling efficiencies (SEER) and capacity similar between the heat pump and the AC being proposed? If so, then the source of your payback on the $1000 will come from efficiencies when you are in heating mode. And in Indiana, we hear it’s very cold in the winter. In most areas, the cost to create heat with a high efficiency electric heat pump is lower than the cost to create the same amount of heat with a natural gas furnace. Even with a newer furnace, the heat pump can be up to 20% lower (you’d need to do the calculation based on your utility costs and furnace efficiency). So, the more you use the heat pump to produce heat, the faster the extra cost will get paid back. This is why many people will spend more on a great heat pump that can handle lower temperatures productively. There are a lot of variables in this scenario. We recommend that you ask a top local contractor in Indiana for that info. Thanks! Trying to convince my better half that we should invest in an AC unit. Here in the Seattle metro area I figure we would need AC for two, maybe three months out of the year. For a ~1,600 sqft two floor home would a 16 SEER vs a basic 13 SEER unit be overkill based on average variables? Not sure the payback period is worth the incremental cost. Hello Marc, cooling is definitely becoming more widely used in Seattle. Heat pumps can provide cooling and reduce the cost of your heating, to give most homeowners better payback, especially if you have a less efficient or older furnace. For an AC only unit, 16 SEER vs 13 SEER – both will cool your house. It is a question of the level of energy efficiency and other features you are looking for. In Seattle, you would also want to meet local noise ordinances. If you have questions about these or wish to learn more, just give us a call. Thanks! I live in south Texas and run my A/C almost constantly from March to end of November. Is a heat pump the best way to go for me? Joann, there are many factors in making your choice and you’d really want to meet with a local qualified contractor to go over them. Both can be a good choice. Here in the Northwest, we have a longer heating season, so heat pumps are more common because they efficiently heat and cool. It might surprise you to learn that the majority of homes in Seattle do not have air conditioning, although many are getting it in the past few years as it warms up here. If you heat your home with electricity, then the energy savings from a heat pump could be meaningful, and you should definitely give it a look. If you heat with natural gas in the winter, and your furnace is high efficiency and well maintained, then you’d have to look at the comparative pricing between the AC & Heat pump in your area. Thanks! We live in San Diego, where the temp rarely gets below 40 in the winter; and USUALLY not over 85 in the summer. We are putting in new dual pane windows and need to replace our gas furnace and AC unit. Would a heat pump make more sense than replacing both units? Dave, thanks for asking. They both cool well and both will work hard for you. It might come down to cost to operate. If you go with a heat pump, it will run on electricity year round, all day. If you have relatively low cost electricity, then heat pumps can be much cheaper to run. If your power is higher cost, then having a gas furnace in the mix might save you in the long run. A secondary consideration would be placement & sound. Efficient heat pumps run with continuous operation and can be louder than an AC (depends on a number of factors including brand and location). We recommend finding a local top rated contractor and getting a bid for both a heat pump and air handler vs a gas furnace and an energy efficient AC. Have your contractor show you the total cost of ownership including local energy costs and payments so you can make an informed decision. Plus in California, be sure to look up the local rebate programs. I have. 4 ton central AC and oil heat running through hot water baseboard. Central air is shot. Should I consider a heat pump? Will I need to replace my 8 year old oil burner? Hello and thanks for asking. Wow that sounds like an interesting system with lots of options for saving you money. We would have to see and work with you in person to make a recommendation in this case. If you are in the Puget Sound area, please give us a call and we can come out and have a look at your system. Estimates are always free. Thanks! I’m have a new oil hot air furnace and want to install a heat pump or central air conditioner in an old house but fairly well insulated(walls & windows). I live in the Hudson Valley, New York. I understand the difference between the two and my question is: Since the heat pump will use electricity to heat until the oil furnace needs to kick in at lower temps,do you think that the cost of the electricity would substantially offset the price of oil, if using oil alone? Is there a general comment to this question since there are many variables involved. Hi Jerry, yes you will see savings. A really simple way (without doing a heat loss calc on your house) would be to follow the general info on cost to run these products. All of the estimates that we have from manufacturers and utilities show that the cost to heat with a heat pump is approximately 1/3 of the cost to heat with oil. (actual figures depend on your cost for electricity and oil). So said another way, for days that you would have heated with oil but are now able to heat with a heat pump, you save about 2/3 of the cost you were paying for the oil. To calculate how many days that would be, you could take a look at an average temperature record for your area (easily available with online search), and find the days between 35 degrees and the average temperature at which you don’t run your heat. This assumes you set the heat pump to engage the furnace at 35 degrees. Then you could pencil out your savings. Hope that helps, and let us know if you have follow up questions. Thanks! We need to replace our central AC unit. We have gas hot water baseboard heat. All AC duct work is in place. In North Carolina (hot and humid, but also needing heat) is AC or heatpump a better investment? Hello Marjorie and thanks for asking. Since you live in North Carolina you will need to do your price comparisons in your local area, and those will be a big determinant of your return on investment. It looks like you said you have gas hot water and separately baseboard heat – is that electric? 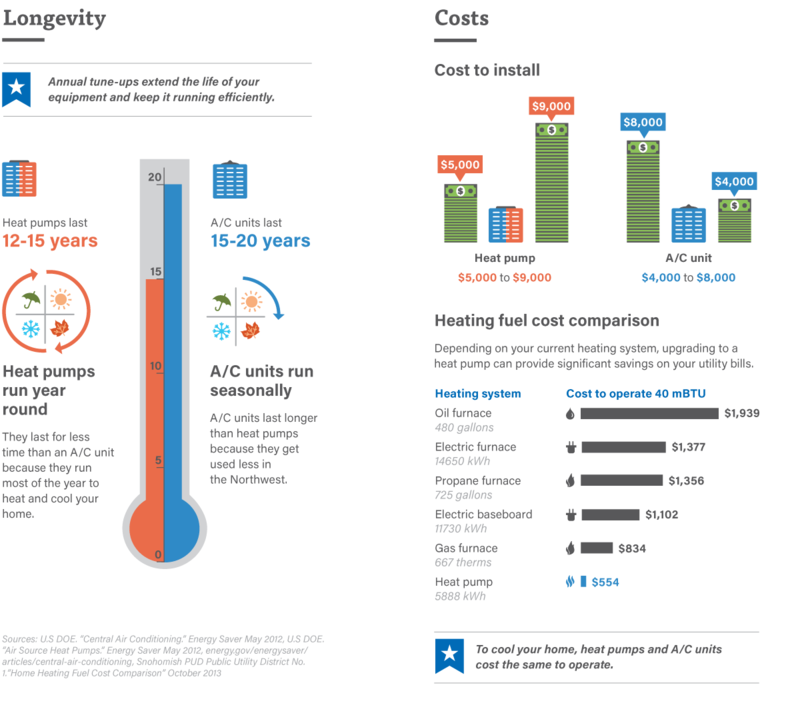 Your local HVAC contractor will be able to model out a comparison of heat pump vs AC and the impact each will have on your heating cost and cooling cost. If your baseboard heat does not cost that much, you may find an AC a less expensive upgrade. I’ve heard good things about ductless mini-split units, both to it’s efficiency and how quiet they are. I have a gas furnace with a separate AC unit needing to be replaced. Could a ductless mini-split work in my 1500 square ft house? Could a ducted mini-split utilize my existing ducting? Hello Ron, you have a lot of choices for replacing your AC. While we think ductless splits are wonderful, if you already have ductwork running throughout your house, a single AC unit may end up being a better value than going with a ductless mini split. The reason would be that with a 1500 sq ft house, and depending on the layout of that house, you may need to have multiple ductless heads. Once you are at 2 or more heads, your ductless heat pump will be close to the price range of an AC. This is only something we could determine when we do a site visit and give you an estimate. If you live in our service area, we would be happy to provide you with one. Just give us a call or fill out the online free estimate form. Hi Pedro, if you don’t need heat, then a heat pump is not a cost effective choice. Go AC! To my understanding A/C it is just one form of heat pump. I don’t understand what is the difference cause they are working the same. I do understand that some A/C units can work only to cool (meaning to take the heat outside) but today most of them can also heat (taking the heat inside). So again that means that it’s the same? Thanks for asking. While there are similarities, they are not the same. 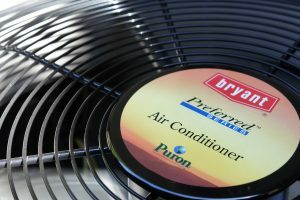 Cooling can be performed by either an AC or a Heat pump. 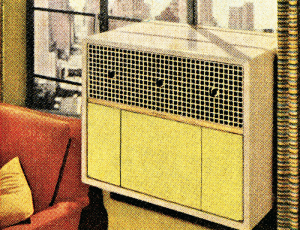 When we speak of air conditioners in this article, we refer to units that only do cooling. Heat pumps and ductless heat pumps do both heating and cooling. There are enough differences between the various types of equipment in function and cost which can influence which one a person would like to purchase. We are going to build a new home that will be very efficient, ie well insulated, etc. We live in South Louisiana. Because heat pump compressors run all year long, will a regular efficient central AC compressor last longer because of the reduced run time? I have yet to see a heat pump compressor last over 10-12 years and I know of regular central AC compressors lasting over 20 years. Our winters last 3-4 months. Every home and user is different but in general, AC compressors with less use can last a little longer with annual maintenance. If you rarely need heat, your benefit from an AC may be greater than a heat pump. But it all has to be installed correctly, sized right for the duct work, not too high of a charge and other things that your professional air conditioning contractor would need to be on top of. If the install is incorrect, even the best quality equipment can have a shorter lifespan. I have central heat in my almost 1900 sq ft home, so I believe the duct work is there. Which should I consider to get air conditioning, a heat pump or Central A/C? That is a great question and there can be many factors that can influence your decision. If you have a very efficient, relatively new furnace that provides sufficient heat and do not think you could benefit from energy savings on your heating, a central AC might be all you need. The best way to evaluate choices is to get one of our pros to come out. They will measure, check your ductwork out and show you the different options. That way you can make an informed call. Thanks for asking about heat pump sizing. Most people don’t realize that heat pumps come in different sizes, which relate to how much output it will take to heat your house (or cool it). This is a factor of not only the size of your house but the ducts, windows, insulation, state codes where you live, and other criteria. The way that it is determined is by doing a state mandated Manual J heat loss calculation based on measuring your specific home. This is a bit complex which is why we send our team out to do it for you, and it’s part of your free estimate process. I have attached a link to an article about how you might do this and as you will see, importantly, it notes that you should have a pro contractor confirm it. We would be happy to do that for you, just give us a call. What is the cost difference between an air conditioner versus heat pump? Hello Patti, thanks for asking. The cost difference will vary depending on your house. You can probably consider a full house sized AC from around $4000-$8000 and a heat pump from $5000-9000. A ductless heat pump single unit would provide cooling to up to 1000 sq ft or one part of the house for less. Do you really need air conditioning in Seattle?